﻿﻿﻿﻿At the end of last year, Greg, Murray and Jeff retired, which was probably a good thing because two summers ago when we saw them in concert, Jeff was absent because he'd just had a Pacemaker put into his chest, which would have told anyone else hey, you might be getting too old to be playing children's shows, but not these guys. 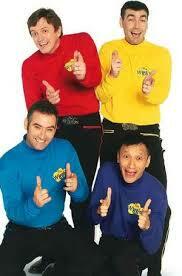 And frankly, to me, with Sam in the group, it became "three old guys and one polished, young, cute professional." Sam looked out of place. He was too much better than the other three. But the kids and I got used to him, and began to like him and accept him as one of the group. ﻿﻿Which is why we were all mad about how, last year, they gave Sam the boot unceremoniously and under the table, and then expected cheers and joy for welcoming Greg back into the group. Nothing against Greg, we liked him back in the day, but Sam was well liked, too, and we didn't like the way they treated him. ﻿﻿And there was an interview with Anthony on some Australian news program where he was asked about Sam and how Sam was let go, and how he felt about it, and Anthony acted like it hadn't occurred to him to ask Sam how he felt, and he admitted he hadn't even talked to Sam. I don't know how they announced to him that he was fired, maybe they left him a post-it in his dressing room. After all those years of singing and dancing right alongside him, Anthony couldn't figure out why people would think the group should have shown a little respect and courtesy toward Sam. 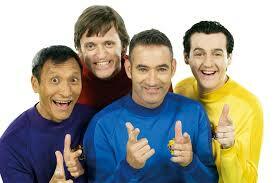 ﻿﻿And now that all of them but Anthony have retired, The Wiggles is an almost completely unrecognizable group of people. Anthony has always been the "cute" one, the one all the moms like, but now that Jeff, Murray, and Greg have been replaced by three very cute, young, bouncy people, Anthony is now the "old" one. 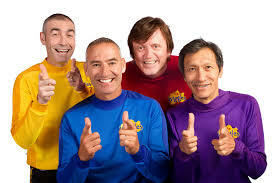 ﻿﻿They used to be this neat group of very ordinary, regular guys who got together and thought, why don't we start a kids' band? And they hit it big, and that's what was great about them, was their normalness. The fact that they weren't "Hollywood," that they were just like all the dads of the kids who loved them. They were gawky and nerdy and we loved them for it. 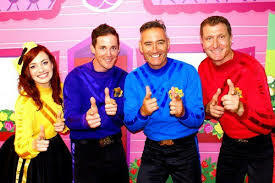 Now The Wiggles are group of three beautiful people who went through auditions and tryouts and are professional and amazing and polished and perfectly adorable. And Anthony. The old guy.